Carb loading is the term used to describe a popular "ritual" among marathoners that involves eating a meals high in carbohydrates, days before a big race. 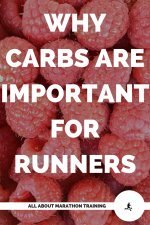 The science behind it is that carbohydrates are the main macro-nutrient that fuels our energy during a long distance run. If by “loading up” on carbs before a race, the body should have maximum stores of carbohydrates to be turned into glycogen which will be stored in the muscles and used during our runs to keep supplying us with energy and ultimately give us the ability to run far and fast. That was a mouthful. But essentially this is the reason behind all of those spaghetti dinners that races hold generally the night before the race. There are people who argue about whether carbo-loading really helps or not. In a half marathon it can be questionable as studies conflict on whether carbo-loading is really helpful or not. 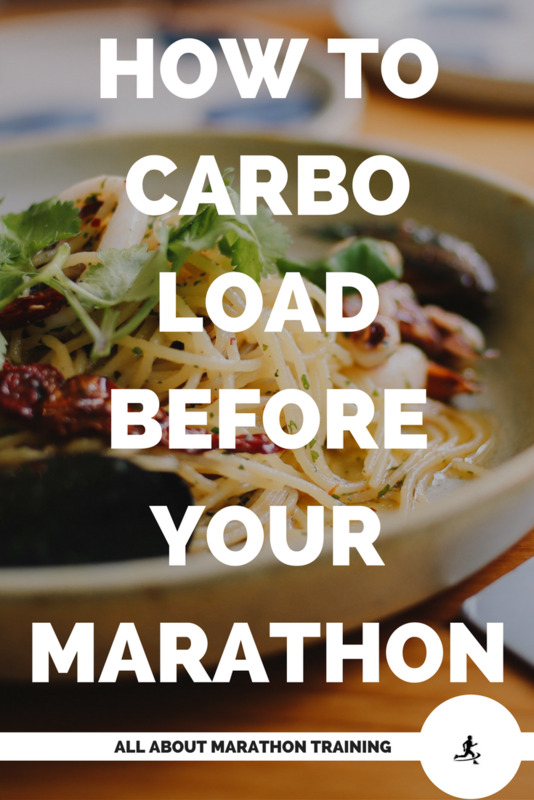 During marathons though it seems to hold fast that carbo-loading is indeed beneficial. So break out the bagels. Pasta is one of the best foods to eat in terms of carb loading. I bring a tub of cold pasta with me when I am traveling to a marathon since I love it and it is a fast way to get carbs. However if you want to obtain carbs from a healthier source then try apples, whole wheat and whole grain breads, and bananas which are known for their high carbohydrate content. I would definitely suggest implementing carbo-loading in your that in your pre-race week nutrition. It can definitely make a difference in your performance! Carbo loading consists of consuming meals that are high in carbohydrates about 5-7 days before a half marathon. The ISSN states that meals should be ~70% carbohydrate in order to optimize glycogen stores in the liver and muscles. 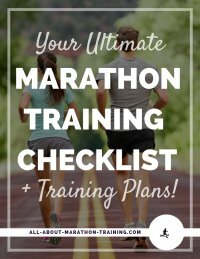 Start 5-7 Days before your Race. Deplete glycogen stores through a long run about 6 days before a race. This can be done through a longer run and allows for glycogen muscle storage to be supercompensated as you carbo-load. Consume a low carbohydrate diet for 1-4 days to allow for the supercomensation effect to occur in the following carbo-loading days. Take in 400-700 grams of carbohydrates/day of carboloading 3-4 days before the race. Keep running levels low to allow glycogen stores to build 3-4 days before the race. 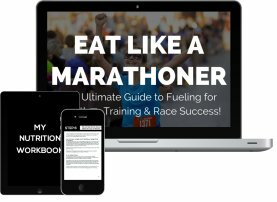 For more information on carbo-loading + a detailed guide on the 5 day and 1 day carboloading plan & everything you need to know about marathon nutrition check out our EAT LIKE A MARATHONER Nutrition Course! Skip depleting your glycogen stores 6 days before your race. 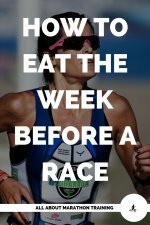 Eat a low carbohydrate meal on one day 4-5 days before the race. Consume 400-700 grams of carbohydrates 3-4 days before the race. Keep your running levels low. 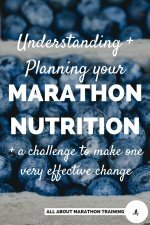 Some runners prefer to only do 1 day of carbo-loading the day before their race and then focus heavily on there race refuel plan during the marathon itself so as to avoid hitting the wall. If you would prefer to do this then aim for at least 10 grams of carbohydrates for every kilogram of body weight that day before your marathon. 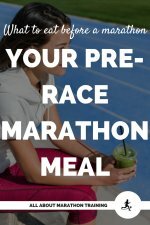 Also be sure to nail that Pre-Race Meal! Want to put it altogether?